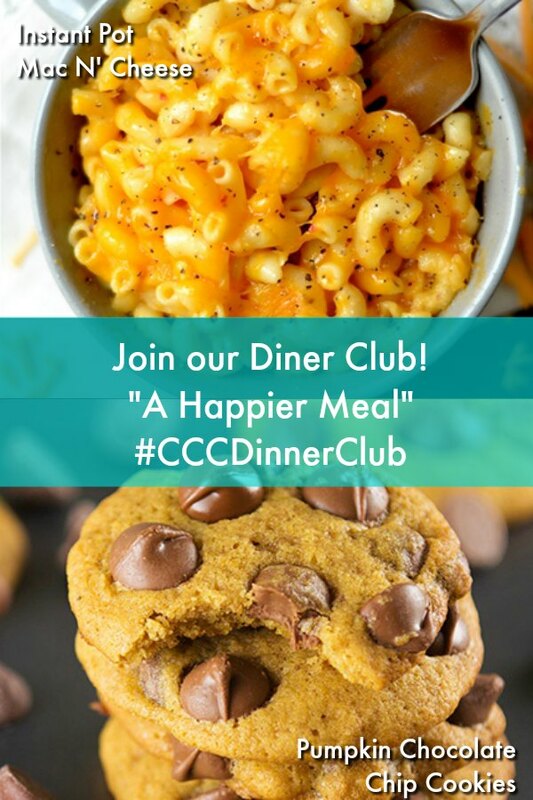 Join our dinner club where each week we will be sharing a carefully crafted meal plan for you to make for your family. 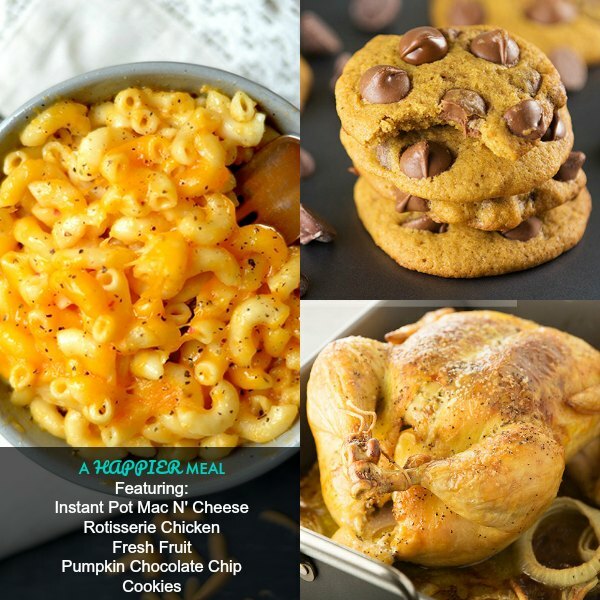 This meal was put together wit the kids in mind with Instant Pot Mac N’ Cheese and Pumpkin Chocolate Chip Cookies for dessert. I put together this meal with the kids in mind! But who doesn’t like mac n’ cheese? 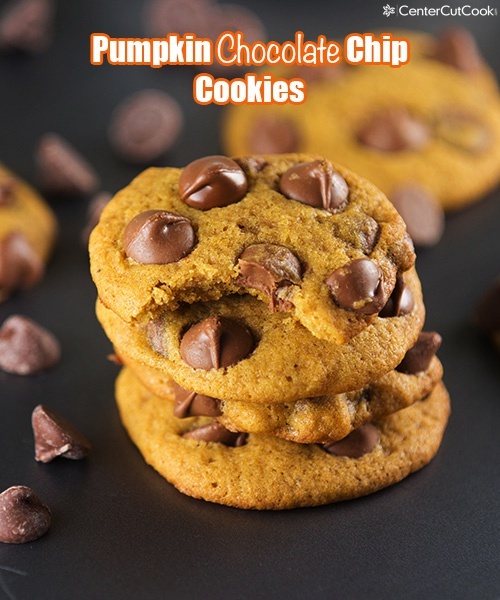 And pumpkin chocolate chip cookies? This quick and easy dinner idea is delicious and not only will the kids love it, you will too whether you’re 30 or 80! There’s no need to stop at the drive-thru on the way home from work to get dinner. 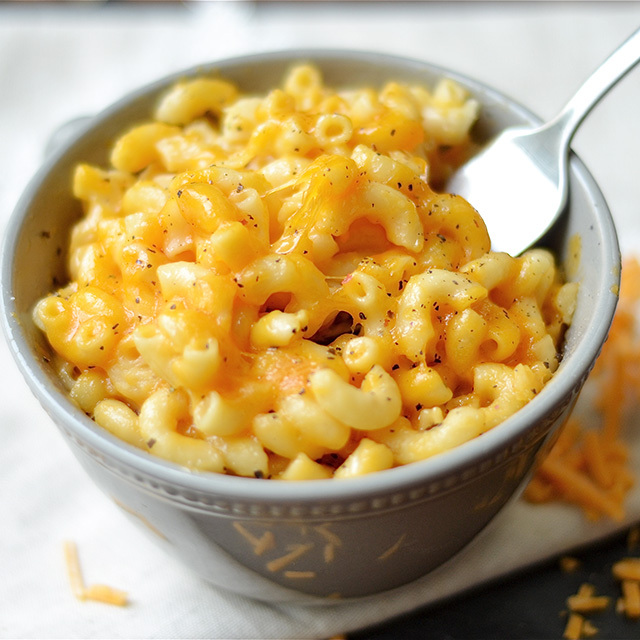 Make this super simple, super quick Instant Pot Mac N’ Cheese. Did you catch our Dinner Club debut last week where I shared the perfect fall meal? I’m back for week 2 of CenterCutCook.com’s dinner club. 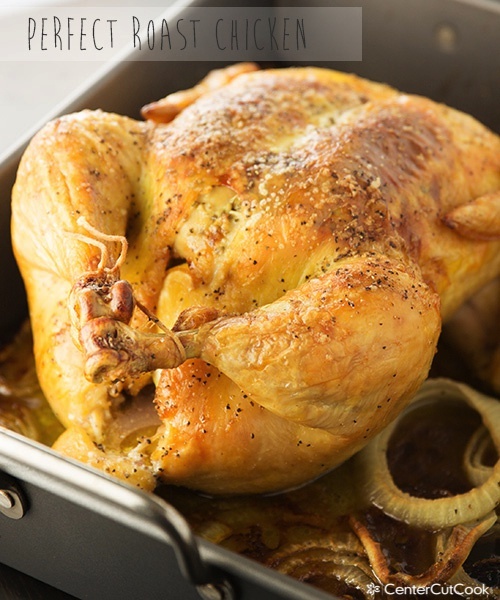 To keep things super simple, I’ll pick up a rotisserie chicken from the grocery store. My favorite place to get a rotisserie chicken is Costco. They’re priced super reasonable and they always taste the best. Whenever I’m looking for a healthy, simply side dish for dinner, I always turn to fruit. I’ll cut up some fruit while the Instant Pot is working its magic and then dinner is ready to go. For dessert, you HAVE to make these Pumpkin Chocolate Chip Cookies. They are SO perfect for fall and so yummy. Have a great week, I’ll see you next time!